Cold season is getting near. Whenever the weather is dropping, there's one thing we always have in mind - soup! One of which is Pospas. It is known for many names or similar with Arroz Caldo (for Spanish), congee (for Chinese) goto (served with tofu and pork) and lugaw or porridge (just a plain rice). Pospas is also one of the good home remedies. It's easy to chew or sometimes none at all, but one steaming bowl of this comfort food is already a full meal which is recommended for kids, elders or someone who's not feeling well. Pospas becomes an everyday meal for me and the kids. Whenever we have some leftover rice and chicken, I used them as part of the ingredients. But using the uncooked rice is better as it will make the texture of pospas more sticky. So give it a try! 1. Boil water, put in chicken and simmer for 1 hour. 2. Remove the chicken and set the stock aside. Shred the chicken meat and discard the bones. I prefer shredding the chicken meat from the bones so it's not bothering when you eat. 3. On another pan, saute the garlic and onion. 4. Add the shredded chicken meat and chicken cubes then dash-in some salt and pepper. 5. Pour in soy sauce, chicken stock, water then bring to a boil. 7. Put ginger, carrots and soup mix. Simmer for a while. I suggest crushing the ginger but still in whole form especially when the eaters are kids. 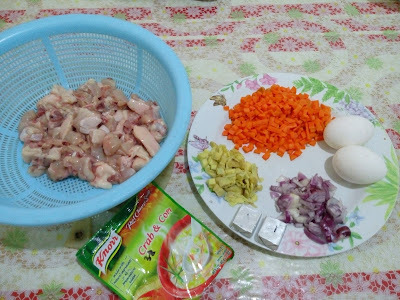 I go for a ready-mix soup because it has all the ingredients to supplement the pospas recipe. Also, it brings color to the soup. 8. 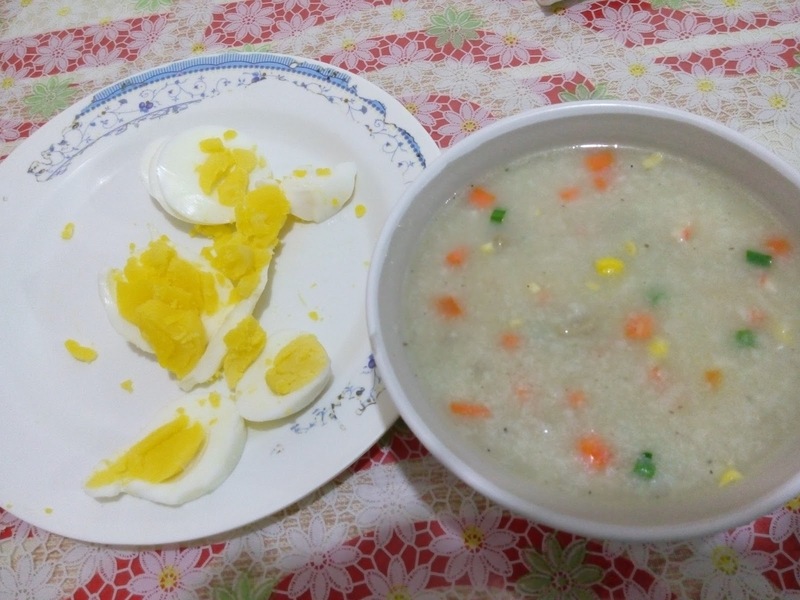 Serve hot with hard boiled eggs or lemon.